Last year’s flu season was a scary one, but don’t let that frighten you. Get protection early on at the Florida Department of Health in Pinellas County’s (DOH-Pinellas) annual “Flu Boo” clinic from 5 to 8:00 p.m. on Wednesday, Oct. 17, at the Pinellas Park health department, 6350 76th Ave. N.
No-cost flu shots will be available, while supplies last, to adults and children older than 3. Participants can choose to get the vaccine from the comfort of their cars at the drive-thru or come inside to the building’s clinic area. 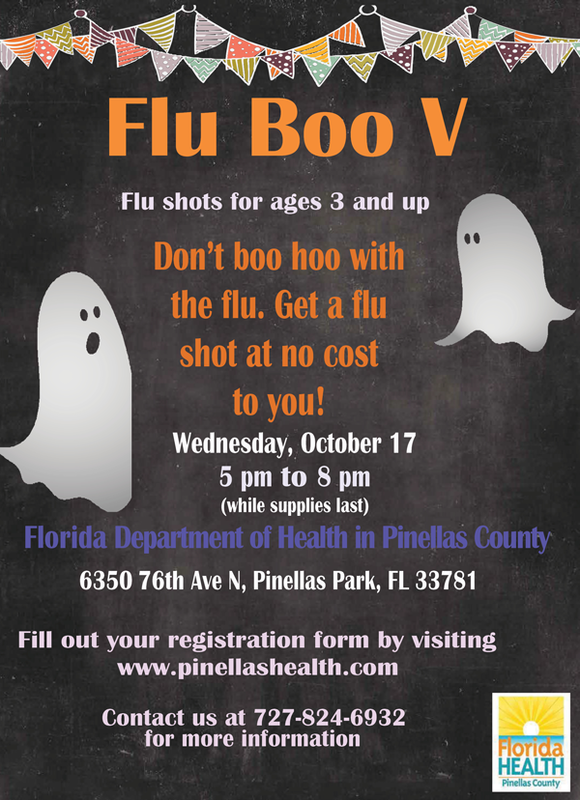 This is the fifth annual Flu Boo event that DOHPinellas has held to provide vaccines at no cost to the community. Last year, DOH-Pinellas provided more than 160 vaccines to Pinellas County residents and visitors. In addition to maintaining good health habits and washing your hands with soap and water, a yearly flu vaccine is the first and most important step in preventing flu illnesses, doctor visits, hospitalizations and can be life-saving in children. The flu vaccine also protects those around you who cannot receive the vaccine. Yearly flu vaccines are recommended for anyone older than six months of age, but they’re especially important for seniors, pregnant women and people with underlying health conditions. 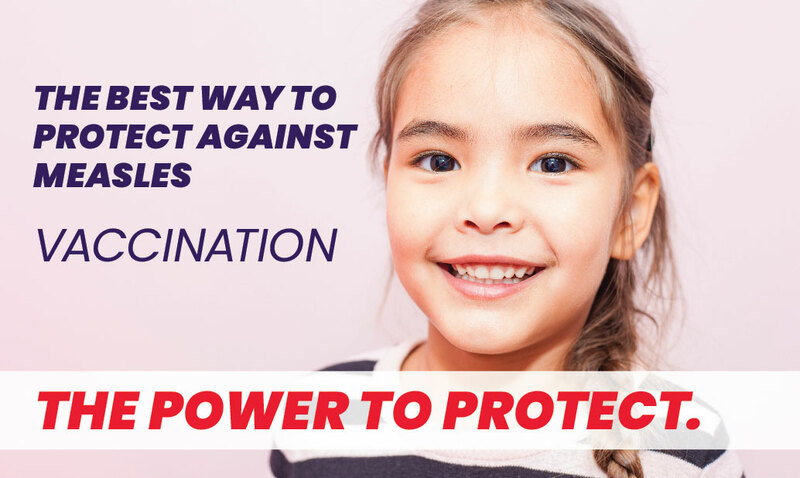 It takes about two weeks after vaccination for protection to set in, so October is the perfect time to get vaccinated before flu activity picks up. Please fill out a Registration Form and bring it with you. For more information about DOH-Pinellas, go to www.PinellasHealth.com or follow us on Twitter at @HealthyPinellas.